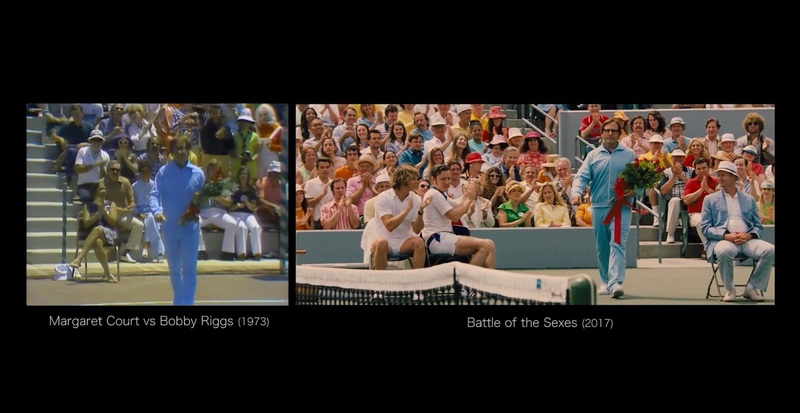 Assistant Camera and Video Essayist Zackery Ramos-Taylor's latest video takes the side-by-side visual essay form to exciting frontiers with his fully comprehensive "Based on a True Story." Those who follow my own video essay work on this site will know that I'm an enthusiastic supporter of this kind of visual style (e.g. my #InformedImages video series). "How does Hollywood interpret History? This video compares historical/found footage of moments in history with Hollywood’s attempt to reenact these moments. Oftentimes Hollywood categorize’s these films with the overused tagline “Based on a True Story” in order to show a dramatized retelling of these historical moments. Production design, costumes, props, blocking, and body language are several factors that determines the authenticity of these moments as true or far from it. Ranging from interviews to sports highlights, these are just some of the historical moments Hollywood has retold." See his impressive and illuminating video below.